For each visitor to the RailRiders website, our server automatically recognizes only the consumer's domain name, not the e-mail address. 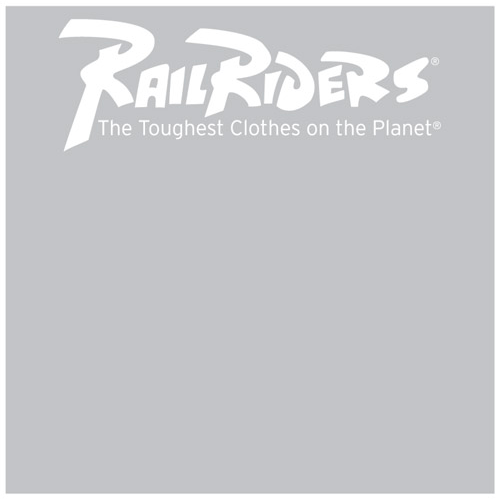 RailRiders only collects the domain name and not the e-mail address of shoppers to our site, the e-mail addresses of those who communicate with us via e-mail, aggregate information on what pages consumers access or visit, user-specific information on what pages consumers access or visit, information volunteered by the consumer, such as survey information and/or site registrations. The information we collect is used to improve the content of our Web page, used to notify consumers about updates to our website. Cookies are utilized to record session information, including items that consumers add to their shopping cart. If you do not want to receive e-mail from us in the future, please let us know by e-mailing us at the address at the bottom of this section or calling us at the phone number at the bottom of this section. If you supply us with your postal address online you may receive periodic mailings from us with information on new products and services or upcoming events. If you do not wish to receive such mailings, please let us know by e-mailing us at the address at the bottom of this section or calling us at the phone number at the bottom of this section. You may receive mailings from other reputable companies. You can, however, have your name put on our do-not-rent list by e-mailing us at the address at the bottom of this section or calling us at the phone number at the bottom of this section. Please provide us with your exact name and address. We will be sure your name is removed from the list we share with other organizations. Consumers may prevent their information from being used for purposes other than those for which it was originally collected by e-mailing us at the address at the bottom of this section or calling us at the phone number at the bottom of this section. Upon request we provide site visitors with access to unique identifier information (e.g., customer number or password) that we maintain about them, transaction information (e.g., dates on which customers made purchases, amounts and types of purchases) that we maintain about them. Customers can access this information by e-mailing us at the address at the bottom of this section or calling us at the phone number at the bottom of this section. If you feel that this site is not following its stated information policy, you may e-mail us at the address at the bottom of this section or calling us at the phone number at the bottom of this section. RailRiders can be reached via e-mail at info@railriders.com or you can reach us by telephone at 1-800-437-3794.